In 2014, Reni Eddo-Lodge posted an impassioned piece online about her frustration with the way discussions of racism were being shut down by those who weren't affected by it. The post went viral, and responses from those desperate to speak up about their own experiences flooded in. Galvanised, Eddo-Lodge decided to dive into the source of these feelings; the result is a searing exploration of what it means to be a person of colour in Britain today. 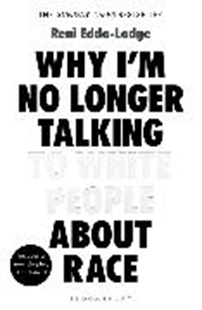 From eradicated history to white privilege, the fallacy of 'meritocracy' to white-washed feminism, and the inextricable link between class and race, this is an essential book by a vital new voice.